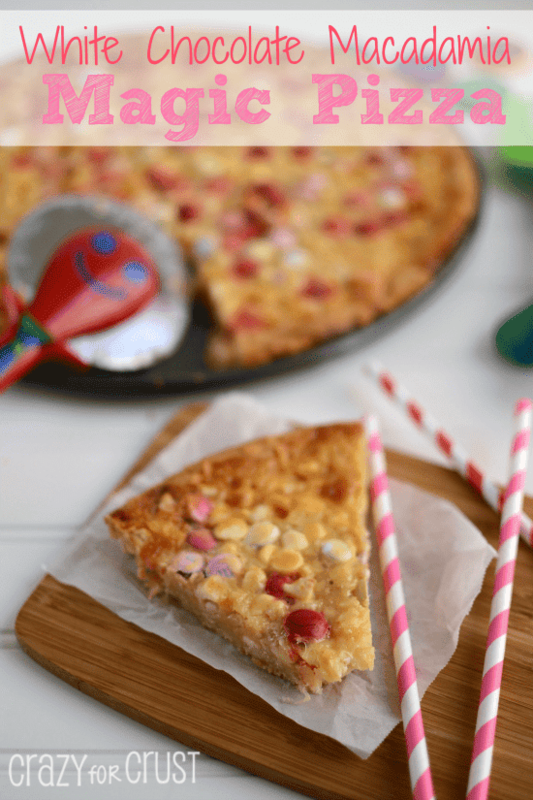 This easy cookie cake is made with a sugar cookie mix and topped like a magic bar with chocolate, coconut, and sweetened condensed milk! This is the best cookie pizza for any party. Well heeeey there! I made you another version of a magic bar. Are you surprised? They are just so darn easy that it’s really, really hard not to make a new version every single day. One of these days I’m going to figure out how to make a single-serve magic bar. Because, as much as I’d like to think it is, a regular sized one is not single-serve. Even if I did attack it with a fork. A few weeks ago I asked you to comment and tell me what you’d like to see me make this year on Crazy for Crust. I am having so much fun going through all your answers. Some of them were very detailed, and many of them gave me so many ideas! 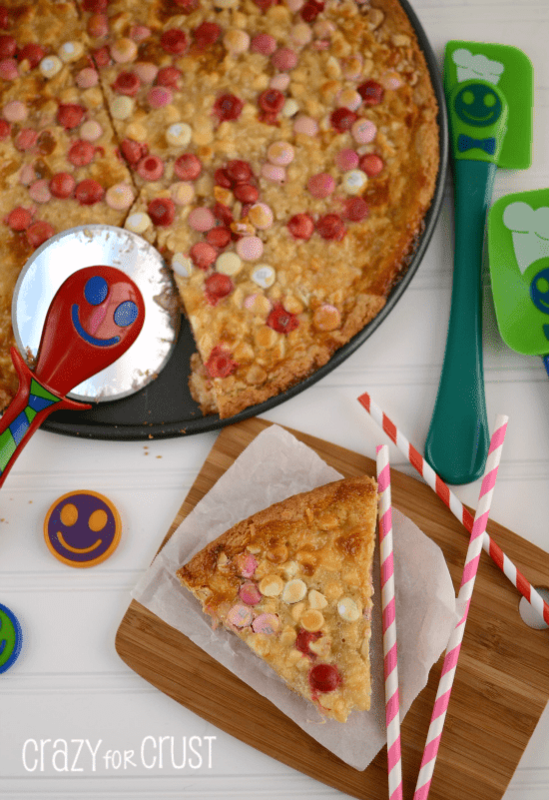 One reader asked that I make a dessert pizza, which I was delighted to fulfill because one, I just bought myself a pizza pan (which I’ve been pining over foreeeeeever) and two, I had these cool superfun tools waiting for me to use them! Have you ever seen KiZMOS kitchen gadgets? I’d come across them in Target and thought they were adorable. When I was contacted by them to try out some of the products, I was very excited! I mean, I love gadgets. But ones with smiley faces are even better! I tested out a spatula (where the smiley was wearing a chef’s hat), a can opener, and a pizza cutter. Guys, the pizza cutter is wearing a tie. That is just too fun! Just looking at the tools made me smile…which is precisely the idea behind the tools. They encourage you to get happy in the kitchen! Kizmos has everything from measuring spoons to colanders to spatulas and magnets. They even sent me a scrubber brush that my daughter said looks like one of the ones in that cleaning commercial. She had a real kick racing it across the kitchen pretend trailing soap bubbles in it’s wake. 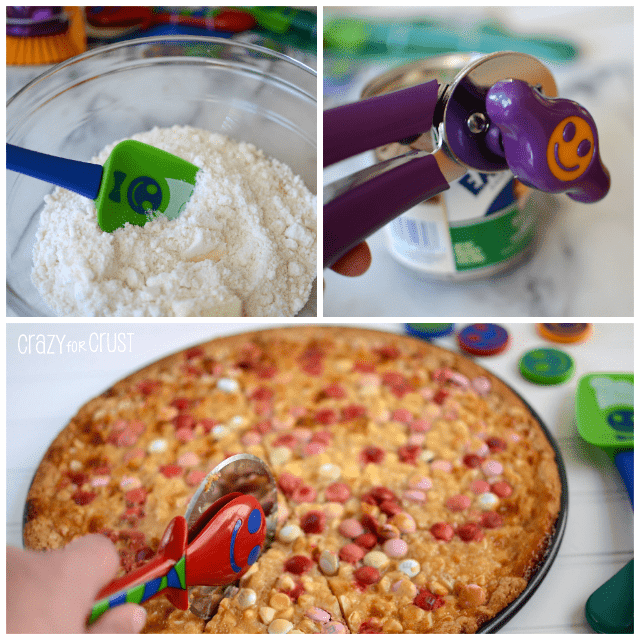 As soon as I saw the pizza cutter I knew I wanted to make a pizza cookie. And, wouldn’t you know, the idea for a magic bar followed closely behind. 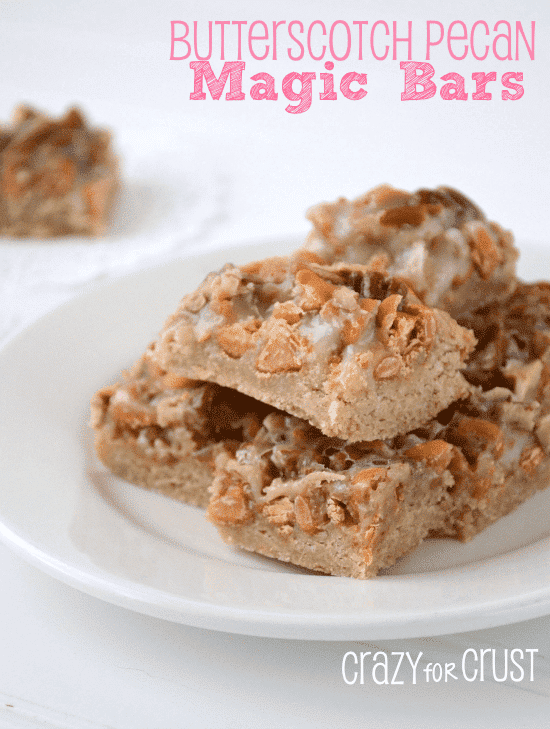 Magic bars are just so versatile – really you can use any type of crust and any flavor of toppings. For this pizza, I decided to use a sugar cookie crust. I used a pouch mix, but you could also use a roll of refrigerated dough. White chocolate and macadamia immediately came to mind…as did coconut. I added the Valentine M&Ms for color, and well, because everything is awash in red and pink these days. These bars are really, really good. The sugar cookie base gives these a good amount of sweetness, the coconut adds texture, and the macadamia nuts counterbalance all the chocolate. 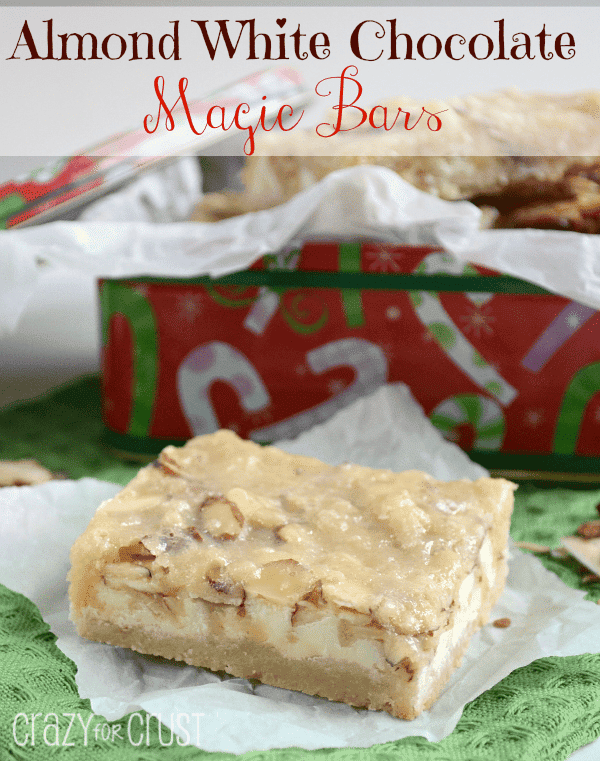 These are probably my favorite magic bar so far! And I think cutting them with Bob made them even better. Stir together cookie mix, butter, and egg in a large bowl. Press evenly into your prepared pan. 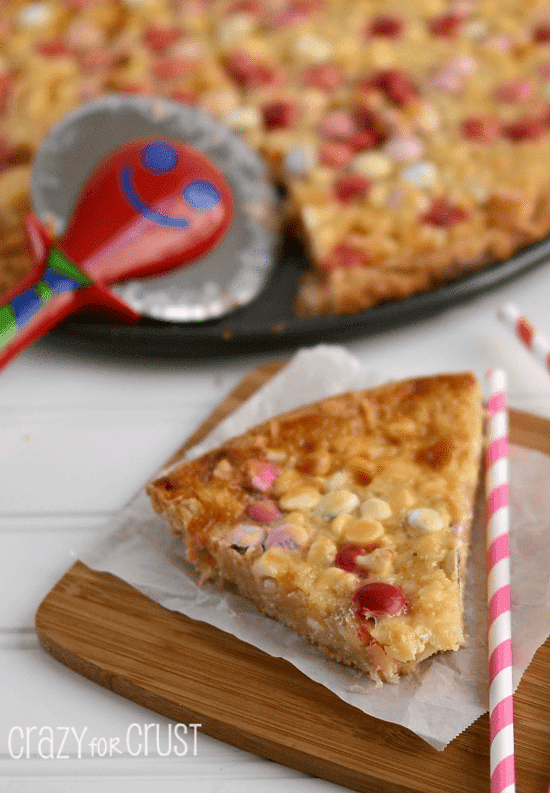 Sprinkle the coconut, white chocolate chips, macadamia nuts, and M&Ms over the sugar cookie mixture, in that order. (Just be sure your coconut is on the bottom so it does not burn). Pour sweetened condensed milk evenly over the top of the candy. Bake for 23-28 minutes until golden. (Mine took 25 minutes.) Cool completely before slicing. Click here to see more of my ULTIMATE COCONUT recipes! This post was sponsored by KiZMOS. Best looking pizza I think I have ever seen! !